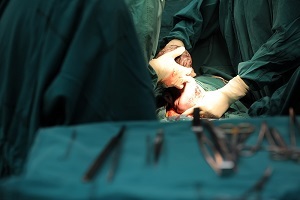 A Cesarean section (C-section) may not have been part of your birth plan. However, you depended on the nurses and doctors attending to you during labor to recommend a C-section if it was necessary to keep you and your baby safe. There is a drop in your baby’s heart rate. There are problems with the mother’s blood pressure or heart rate. Labor has gone on for more than 24 hours. There are other unique or unexpected issues that arise during labor that make a quick delivery important. While an emergency C-section may prevent your baby from suffering a serious injury, it must happen without delay. Nurses may fail to monitor mothers and babies for distress. Nurses may fail to communicate concerns to doctors. Doctors may fail to take action when they learn of a concern. The hospital may not have resources available to perform a C-section right away. In an emergency situation, your baby should be delivered within 30 minutes of the decision to perform a C-section. A delay in delivering by C-section can result in oxygen deprivation for the baby. Brain damage, cerebral palsy, cognitive delays, or death may result from a delayed delivery. You can’t go back and change what happened, but you can help your baby recover damages for the significant trauma that he has suffered. Compensation in a birth injury case may include payments for past, current and future medical expenses, physical pain, emotional suffering, and other damages.